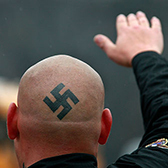 The leaders of today’s Neo-Nazi and White Supremacist organizations are not Adolf Hitler, and America is not Germany, but, in order to understand their agenda, it is vital to understand the history of these code words, symbols, and ideologies. In the aftermath of the moral and societal failures that made the Holocaust possible, confronting antisemitism and all forms of hatred is critical. History has shown that wherever anti-Semitism has gone unchecked, the persecution of others has been present or not far behind. Defeating anti-Semitism must be a cause of great importance not only for Jews, but for all people who value humanity and justice. 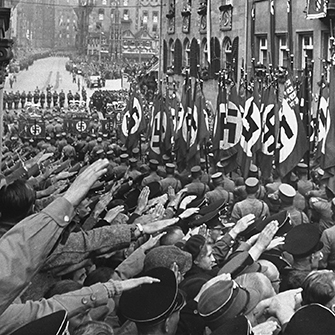 Violent antisemitism and hatred did not end with the defeat of Nazi Germany and are on the rise in Europe and the Middle East. This film explains why this rising antisemitic violence is a threat to liberal society. 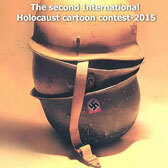 In 2015, two Iranian cultural organizations announced a second Holocaust cartoon contest. Over 150 cartoons from this contest will be exhibited in Tehran beginning May 14, 2016. These contests are insulting to the victims and memory of the Holocaust. This monthly audio podcast series features a broad range of perspectives about antisemitism and hatred today. Anti-Jewish hatred has pervaded Western art, politics, and popular culture for centuries. Perceptions and understandings of Jews throughout history were manifested in objects, many of which promoted negative attitudes and stereotypes about Jews. Explore Museum and external resources on both antisemitism and Holocaust denial and distortion. 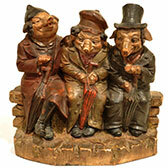 These modules are designed to enhance discussion and learning about antisemitism. This special exhibition explores the continuing impact of the most widely distributed antisemitic publication of modern times.